One of the most important of public decisions any elected or appointed official will ever make will be this one. It is a critical decision and involves the future of your city. Your decision will have force and effect on your city and its visitors for years to come. So what are the basics here? 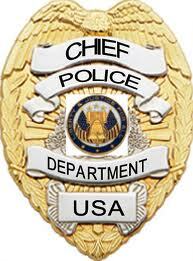 The chief you choose should have some job security. If you want your chief to improve things he or she will need a contract that should enable him or her to serve at least seven years and not be subject to political whims. Your chief should only be removed for just cause and have a route of appeal. This gives your chief the opportunity to do the right things and have time to carry them out and to make his or her vision of excellence a reality. Not to move forward is to fall behind. You need to be assured that all the police in your community (including the chief) are smart, college-educated and well-trained, restrained in their use of force, honest, close to the community, courteous, and committed to improving themselves throughout their career. Police leaders need to be collaborative, support rank and file problem-solving, and be good listeners and coaches. Their job is to grow those men and women whom they are privileged to lead. Coercive, fear-generating leadership (if you can call it that) is not leadership — it is bullying. It has no place today in a modern organization including the police. In your opinion, what is the difference between a good police department and a great one? Where is this city today on a scale of good to great? Describe how you think a great police department operates. What style of leadership is necessary in a great police department? Describe it. How does it work internally? How does it work in the community? What are the steps necessary to either maintain or develop this kind of leadership? What qualities should a prospective chief bring to our city that will give the community confidence that this person is the one we should select? What is the past experience of candidates leading out a bold vision for policing? Did it become a standard practice? What was learned? What are the 3-5 things that need improving within this police department right now? How would a prospective candidate go about leading the improvement? What must be done today in policing is for police leaders to be able to remove the four obstacles to police improvement — anti-intellectualism, violence, corruption, and discourtesy. Then be able to prevent creeping organizational stagnation often occurs with police. This happens when police departments and their leaders sit back and rest on their laurels. You should also address the growing militarization in our nation’s police departments — of police officers looking and acting more like soldiers than police. This has been going on since 9/11 and a trend that if not put in check will overshadow the essential function of a community-oriented, civilian-based police in our nation. In a democracy, police and military functions need to be strongly separate — soldiers fight enemies, police serve communities. A POLICE CHIEF should have a bold and challenging vision of excellence. He or she needs to be able to attract and hire officers who are educated and have a sensitivity to, and understanding of, human behavior. They must be able to increase the department’s capacity to manage conflict and, in their diversity, represent the communities they serve. A POLICE CHIEF must be able to select the best and brightest to serve as police officers. These officers must first be well-educated and then intensively trained. They must also be critical thinkers and able to grasp and act on the department’s vision and the complexities of a free society. A POLICE CHIEF must be able to deeply listen to others; including the diverse and sometimes critical voices of your cities many cultures and lifestyles. The chief must also be able to understand what has been heard and then be able to act on it. This is what great leaders do. A POLICE CHIEF must oversee an adult-oriented training program and model the style of leadership that is necessary throughout the organization to lead the it forward. Formal leaders within the department, including the chief, must be coaches in the workplace that help everyone to grow and to realize their full potential. Top-down coercive leadership can no longer be tolerated in any modern workplace. A POLICE CHIEF must be able to sustain improvements that he or she has made. Change takes time and it is a mixture of inspiration and perspiration. A chief needs time and community support to truly improve things. To alter the course of a large and complex organization like a police department takes time – and effort. For more about police leadership and improvement, see my book, Arrested Development: A Veteran Police Chief Sounds Off About Protest, Racism, Corruption and the Seven Necessary Steps to Improve Our Nation’s Police. Posted in Uncategorized and tagged anti-intellectualism, corruption, discourtesy, disrespect, excellence, Four Obstacles, good to great, hiring police chief, improvement, leadership, police brutality, quality leadership, violence. Bookmark the permalink. I have been a frequent visitor. I find this to be one of the best sources for information on the Internet for a police chief! Thanks so much for the feedback. We in America need to be involved in the selection of those who lead our police. Why? Because a free society needs and deserves a great police — not just good ones! Let your voices be heard and support those leaders who wish to go there! It is so important to choose a Chief who will take the organization to the next level and the information you posted here contains exactly what is necessary to do that. You missed a few things; please tell the truth and make a list of bad things a chief should never do and be involved in and one of them would be never be involved with the local mob & be the oposit of what you mentioned above. Not to mention being a lackey for wealthy people and corporations. Police Chief need to put more resources in dealing with white collar corporate crime by wealthy people, CEOs and corporations. Can Madison Police Go From Good to Great?